Military Pension Buyout - Can You Sell VA Pension? Military Pension Buyout: Is It Possible To Cash Out Your Pension Payments? Think about a military veteran pension buyout offer to sell your VA pension to a third party in exchange for a one time lump sum payment? You may hardly find a buyer able to buy out our pension, in a legal way, at least. To the best of our knowledge, it isn't legal to buy out va pension. The government, military agencies, watchdog and vets advocacy groups are investigating and hunting factoring companies trying to buy out military or government pensions. LOOKING FOR A PENSION BUYOUT? Sorry, we don't do pension buy-outs. We are NOT buying or cashing out military, VA, police, firefighters, government or employer sponsored pension payments. Some unscrupulous buyout companies may offer to cash out a military pension via direct pitches to veterans - including retired (or even serving) servicemen having served in the air-force, navy or other forces - or by responding to inquiries by retirees or disabled veterans desperate to sell off their pension proceeds for cash. Others would offer to buy out the pension payment streams from police officers, firefighters and civil government employees. According to our understanding, this is against Federal law and perhaps also in violation of State law. Some pension factoring companies try to circumvent the anti pension buying laws by agreeing with the pensioner to open a bank account and deposit the pension payments there. They require access to the pensioner's bank account to withdraw the deposited money. The payees, in return, receive a cash lump sum from the buyout companies in exchange for selling all or part of the retired person's pension payment streams. Note: the critics are referring to the pension advances as loans although factoring companies consider them transactions and payment transfers but not loans. Military vets are largely considered as low-income people, yet their government-paid pension is viewed as a very valuable asset. The steady pension payments are fixed income and highly secure. No wonder factoring companies are "preying" on them and are decried by critics as predators. Debt collectors, for example, are often employing apprehensive language in letters to indebted military men to pressure them to pay back their debts. The government is cracking down on all this to protect the nation's bravest men and women. I was recently approached by a young man offering to sell his military pension. It was a nice plan, payment streams valued at several thousand dollars monthly. 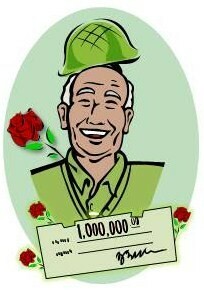 One years worth of payments paid out to him in a lump sum in exchange for buying his lifetime pension! Well, I turned down the buyout offer, of course. I won't do illegal or illegitimate transfers. Why is factoring structured settlement payments legally allowed, while military and government pensions are forbidden by law? Why is it enough for a judge to approve a structured settlement transfer that is fair and in the best interest of the payee, but pension holders are banned from selling their payments? Why are structured settlement payment assignments considered as such whereas the sale of pension payment rights are referred to by opponents as high-interest "loans"? Why are factoring companies considered legitimate when it comes to other kinds of payment buyouts, such as personal injury, workers' compensation, or the sales of annuity payments; but in regard to purchasing military and government pension they are condemned as Pension Poachers? I don't have a clear answer for these questions. While it's understandable to enforce regulations especially to protect the more vulnerable, low-income, the elderly and the disabled - do pension buyouts have to be banned altogether? Let's not forget, the Structured Settlement Protection Act was introduced for very similar reasons, to protect the interests of the injured. Judicial approval is required, and a judge will often decline transactions that are unfair or not in the best interest of payees and their dependents. Why can't the same be done for allowing controlled government and military pension transfers? Is there a request to buy life insurance to the buyer? Will anyone have access to your bank accounts? Will you get a full and detailed written disclosure of the buyout process? Will you lose benefits or health coverage as a result of selling your pension? <br>Looking for a Structured Settlement Buyer?